Pure, overflowing, dreamy perfection! The Alisandra princess gown overflows with fairy tale details, spilling silk rosettes and flyaway tulle. The full, billowing ballgown shape brings the right touch of romance and drama to your special day. 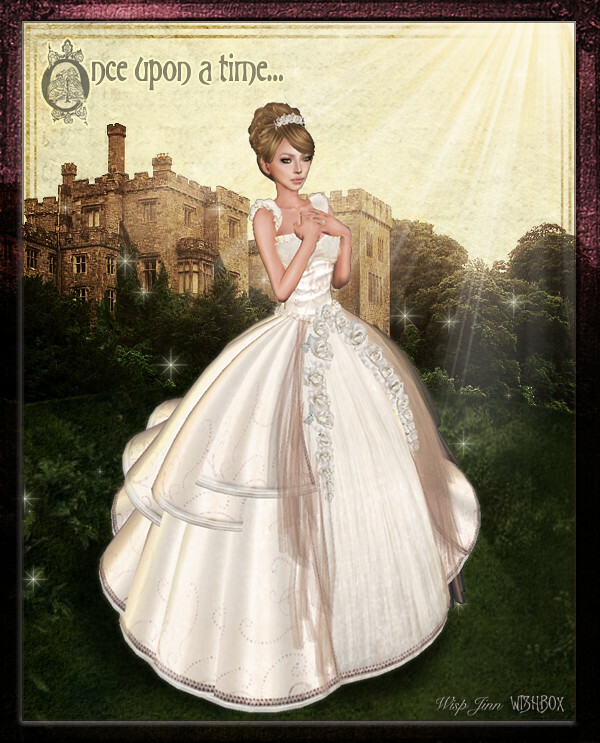 This set includes a rose-adorned tiara and fluttering wedding veil. So… Do you take this dress to be your favorite fairytale dress ever? 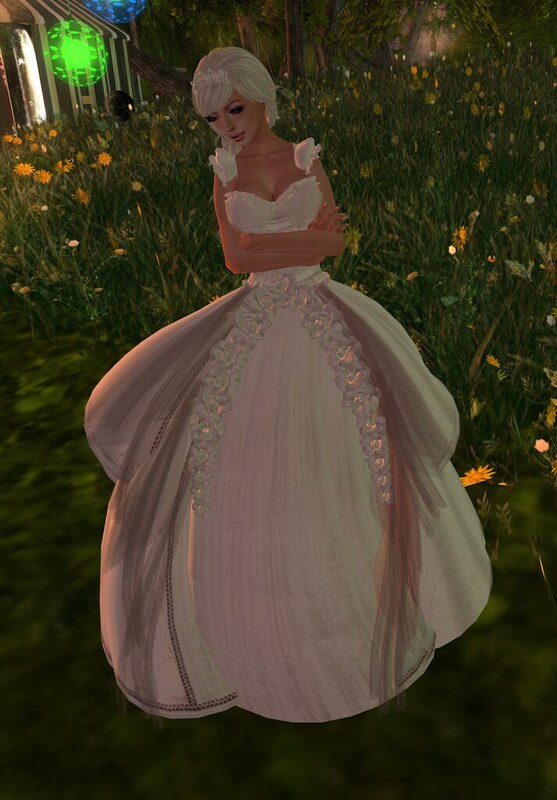 This wedding dress includes Omega Appliers! Omega Appliers make this standard outfit compatible with Maitreya mesh body Lara, Slink Hourglass / Physique, and Tango Delicq, and many, many other mesh bodies, bits and body parts. Resize scripted. Additionally, the bust is modable because bust shape is so individual. So are the glitchpants, to accommodate characters with digi-legs. Simply click the parts for a menu.